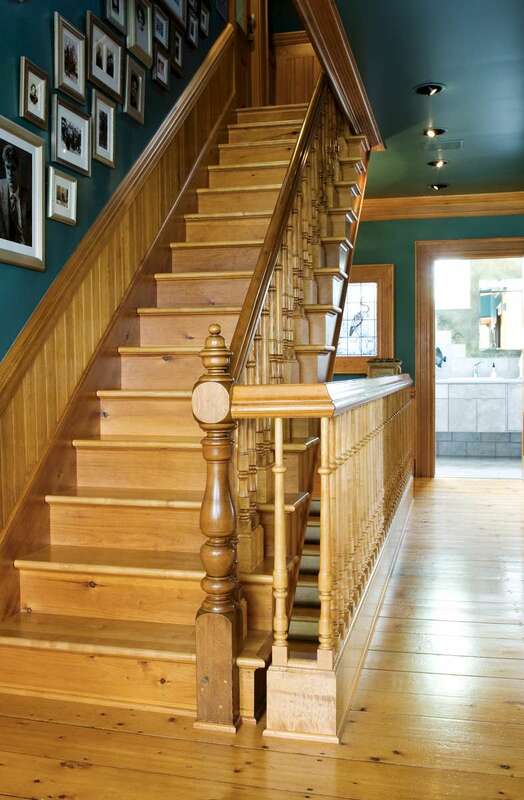 This is the original stairrail of the house moved up from the main floor. The new balasters are elongated versions of the originals to add height. Another stain glass window from Chartres is in the background.